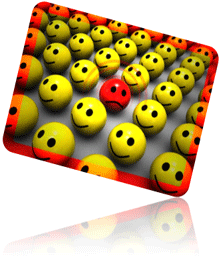 * 96% of dissatisfied customers do not complain directly. * 90% will not return. * One unhappy customer will tell nine others. * 13% will tell at least 20 other people"
How you manage and respond to customer expectations impacts your success. dk Foodservice Solutions, LLC will help evaluate customer satisfaction survey results and work with the facility to understand what drive the scores. If needed, we will help the facility develop a method for evaluating the customer’s perspective of service. We focus on the attitudes and behaviors that create a positive response from the customers. Often customer service can be improved through simple steps like “common courtesy” and attention to details. We work with staff to recognize the need for clear and consistent communication and their style of presentation. When appropriate we work with staff to “script” their message when talking with residents and patients. Feedback, re-enforcement and success encourage staff to maintain a positive attitude when dealing with the unique needs of the patients and residents. Please contact us for information on how to address your Customer Service concerns.